I feel like I haven't had much exciting blog material lately—not much in the way of house projects happening at the moment. But I did make a couple of purchases for our living room recently. One was this wall lamp from Restoration Hardware. 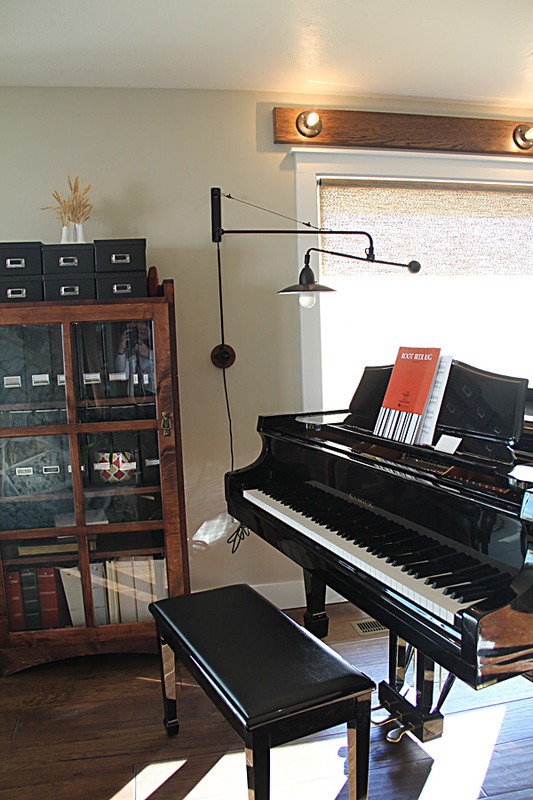 I needed a light for my piano, and their conveniently timed lighting sale allowed me to score one for 25% off. This is my second lighting purchase from RH. 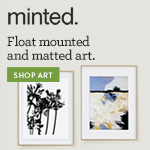 I buy very little from them because most things seem outrageously expensive. But comparatively their lighting is surprisingly affordable. Of course I've been able to catch a sale on both purchases, but still, a pleasant surprise. Am I the only one noticing that? 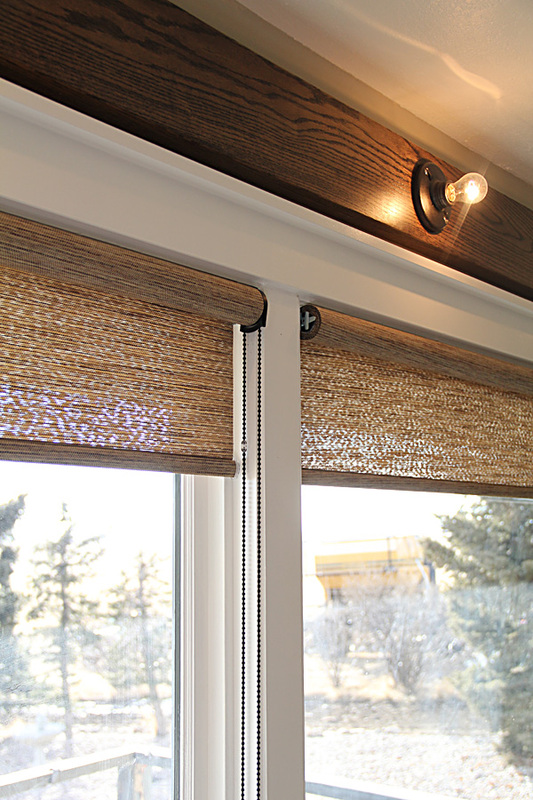 I also took advantage of a sale on blinds for the windows. 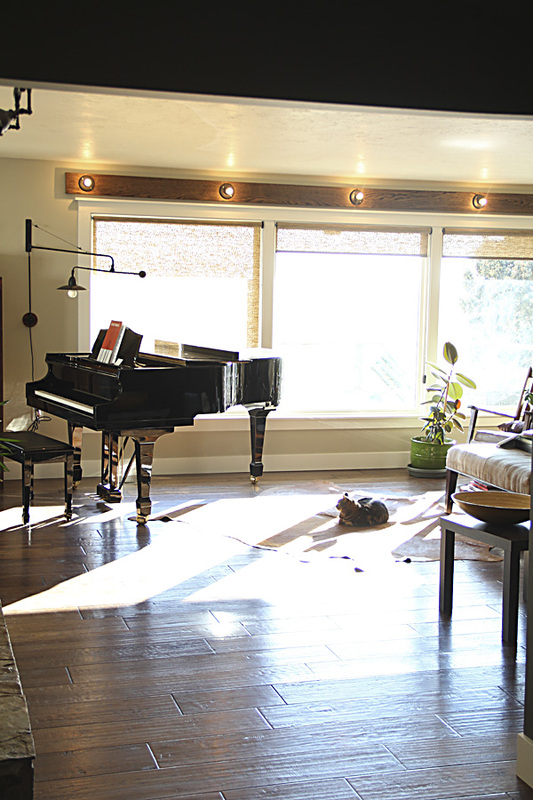 Necessary but slightly painful (window treatments are insanely expensive! ), so hopefully they will last for-ev-ah. 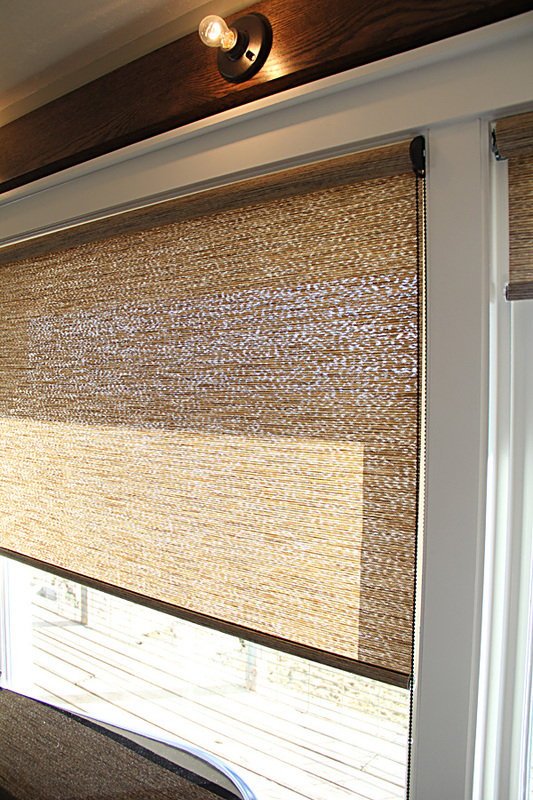 My choice was a subtle but effective solar roller shade from myblinds by Hunter Douglass via Home Depot. 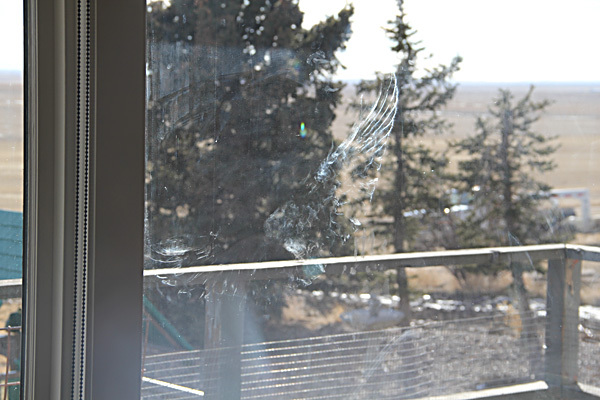 ... but really I just wanted to show you the imprint of the poor rather-large bird (23" span) that hit our window. We weren't home when it happened and the bird was nowhere to be found when we got home (the dogs were in the back) so I assume it survived? Just glad our window didn't break.